Thinking of Moving in Retirement? Once you’ve retired you probably want a more peaceful way of life, with a quiet atmosphere and a more relaxing way of living. This is completely understandable and we can see why more and more people are choosing to retire to a more peaceful locale. During our whole working life we are hurrying around and being busy. This appears to be truer and truer every day as we rely on more technology and more gadgets to help us in our everyday life. Although these gadgets claim to make our life easier, we actually end up working harder to keep up with all of this technology. It seems that being busy is a sign of pride amongst people these days – the busier you are, the better you’re doing in life. And all of this is fine during our working life, we take it as a part of the life we have chosen. But once we have retired we can choose to live a life that’s a bit less hectic. After all, why not? You’ve worked hard your entire life and earnt the time to rest and relax. This is why more and more people are moving to a different house once they retire. Many people also choose to move because they want a house which is smaller and easier to maintain. The older we get, the less physically able we are, this means that we don’t have the energy to be cleaning and maintaining a huge property all the time. We also choose to move to smaller properties because we don’t want to spend out retirement maintaining our home. We’ve worked hard and deserve to take some time off from doing all the chores we used to do. However, when choosing a home to move to during retirement, one of the most important things you should consider is location. The location of your retirement home will be incredibly important because it will decide whether you live a peaceful and relaxing life or a hectic one. A good location will also mean that you have the option to go out and explore nearby places, or have good transport links to friends and family further afield. If your retirement home isn’t in a great location then you may find yourself more isolated and unable or unwilling to travel to places in order to do or see new things. Park homes are a great solution for those looking to move to somewhere quiet, yet with the option of having things to do. 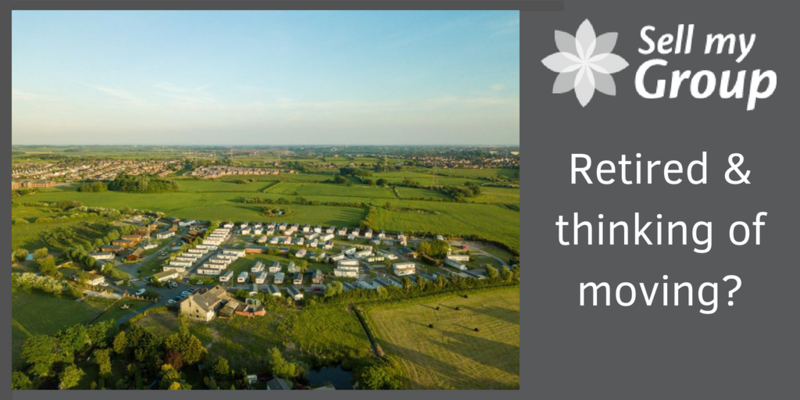 Most park home site locations are considered carefully before building begins, making sure that there is plenty of opportunity for relaxation and activities. This is why most park homes are built away from any major towns or cities, but generally situated close to transport links This means residents don’t have to worry about the hustle and bustle of city living, but aren’t too far away from the shops or anywhere should they fancy a day out. Another great reason to choose a park home is that you can buy one fully furnished. This means that you can get rid of any old furniture and start completely afresh in your new home. This is a popular choice because many people don’t want to go through the hassle of packing up all their furniture and having to worry about paying moving fees and making sure none of the furniture gets broken. By choosing this option, you are choosing an easy way to make sure that you’re living the good life as soon as retirement begins. Another reason that opting to move into a park home is a good choice for those looking for a relaxing life is because park homes are surrounded by people who are all thinking the same thing. This means that you aren’t going to be surrounded by people who are up all hours of the night or who are going to be noisy and disturbing. This is a great thing because everyone there will all want the same thing and will be happy living amongst those who also want that. Having neighbours which are of a similar mind-set to you will definitely help you find more peace and quiet in your retired life. It means that you don’t have to worry about noisy neighbours, or people who will be up all night. Instead you will be having social gatherings will people who want the same things as you do, and those who know when to call it a night, to save any awkward worries about asking people to leave your home because you want to go to bed! Park homes really are a great choice for those who want a peaceful retirement. Situated far enough away from towns so that you’re not in the middle of it all, but close enough that you can pop there if you need to. Park homes are also often situated in the middle of some stunning countryside, which is perfect for those who want more peace and quiet. Spending time with nature is a tried and tested way of helping people to relax and chill out, and if you’re surrounded by lush rolling hills and greenery on all sides then you have no excuse not to go out and see it. A lot of park homes are located within the country or by the seaside. As well as amazing views you will have places to explore, without ever having to travel very far.